How much is a day in the park worth to you? Join a community conversation about Flushing Meadows Corona Park! You are invited to share your experiences, memories, concerns, and hopes for the park, and join a discussion with Queens neighbors. This story circle workshop will help us better understand the value of Flushing Meadows Corona Park. Snacks will be provided. This workshop is free and open to the public. Please RSVP here. 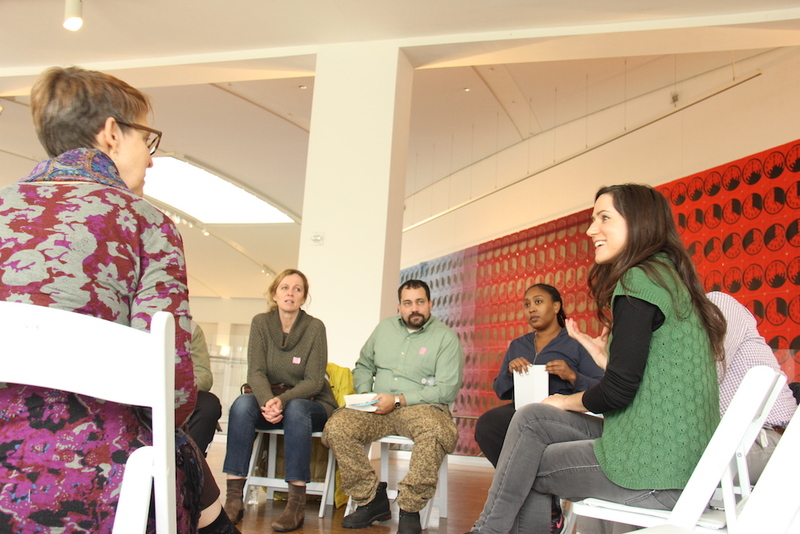 This workshop is organized as part of Queens Creative Solidarity‘s Studio in the Park residency with the Queens Museum, ArtBuilt, and NYC Parks. Queens Creative Solidarity aims to build and cultivate an equitable network of artists and creative people in Queens that acknowledges and respects the cultural richness already present in our neighborhoods, learning together how to be involved in community where art, art making, dignified living, learning, parenting and working conditions are an equal right for all. 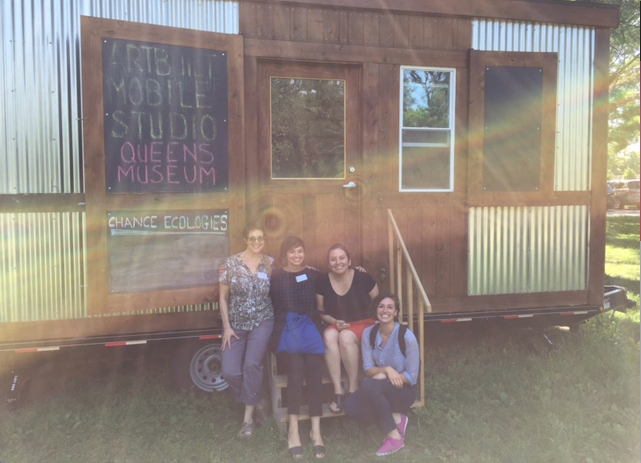 The Studio in the Park residency is a partnership between The Queens Museum, ArtBuilt, and NYC Parks, and takes place in a 150 square foot mobile studio situated adjacent to the Queens Museum in Flushing Meadows Corona Park. Learn More. View photos from “Our Park Stories: Community Conversation” HERE.